Hiring a car at Malaga airport is the first thing which most travellers to the Costa del Sol have in mind. 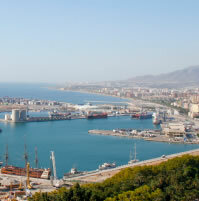 The Malaga airport is found about 6 kilometers west of the city. To be able to travel freely about this busy tourist area, it is extremely wise to hire a car at the airport, avoiding confusing and tiresome transfers and having to depend on other people and means of transport to get around. You can easily contact the many car hire either at the airport or in the Malaga city area through your travel agency or online. Either way you do it, you can pick up your hired car directly at the airport.All companies offer quality and efficient services with friendly bilingual employees. All profess to be low-cost, cheap car hire in Malaga and for those who do not have offices at the airport, they offer free delivery and collection. It all seems so simple to hire a car, but I would like to open your eyes to some important and crucial observations that I have experienced in my many trips and car rental fiascos. 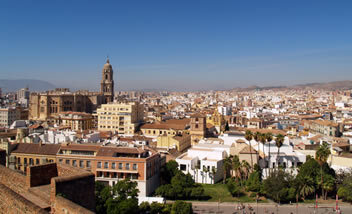 Being as Malaga usually has warm weather all year round, and quite a bit hotter in the summer months, be sure your rental car has air-conditioning. When there is a possibility of two or more drivers, ask for coverage for as many people as you think are going to drive. It is not that much more expensive and it is not worth the worry. When arriving by plane, make advance plans to pick up and drop off your car hire, in this case, at the Malaga airport car hire. It is not cheaper to go to the city and do it there. All city located car hire offer the option to deliver your car to the airport. 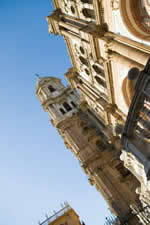 If you are arriving to Malaga city by another type of transport and need to hire a car, do it near your lodging. This will make things for everyone. Extra special care must be given to our wee folks, our children. To protect them and to duly comply with the new spanish road laws, ask and have a written agreement reserving a child´s car seat corresponding to the size and weight. Do not think that every Malaga car hire will have enough seats and you might find yourself with the unpleasant surprise that they have run out. Some people do not trust their luck and carry one around with them. Everyone says that their prices are the lowest and their service is the most efficient, but I would shop around and definitely compare car styles, extras as far as mileage and prices at different agencies, in person or online. Even though hiring a car in Malaga or anywhere for that fact seems more complicated than just buying a train or bus ticket, doing it all calmly and with time can lead to a very comfortable holiday or business trip with Malaga airport car hire.